A picture showing the Morningside Hospital circa 1925. 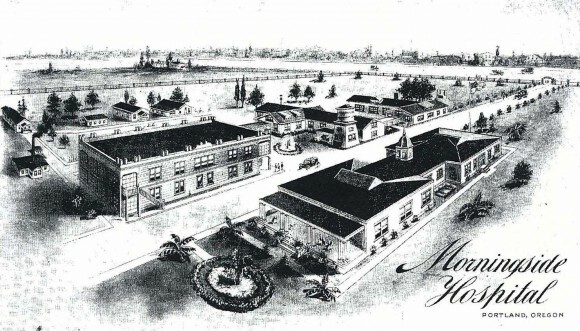 Morningside Hospital was located on the current site of Mall 205, a community shopping center off Interstate 205 in East Portland. This entry was posted in 1900-1929, Morningside Hospital, Photos and tagged Morningside Hospital, Photos. Bookmark the permalink. Post a comment or leave a trackback: Trackback URL.